What do I know about dog dandruff? You may well ask, but my dog suffered from horrible dandruff which I managed to control with an awesome special shampoo and remoisturizer. He now has a glossy, shiny coat. Here is a real "before" and "after" shot of my dog Hudson. The first picture is how his skin and coat used to look with the dandruff. The second photo is after bathing him with the Tar and Sulfur shampoo followed by a re-moisturizer. It literally took one bath for these results. Dandruff in dogs (Seborrhea) is as common as it is with humans. Dry, flaky skin is the main symptom but it's not the only one. So let's look at all symptoms and I'll share with you how to treat this condition at home. 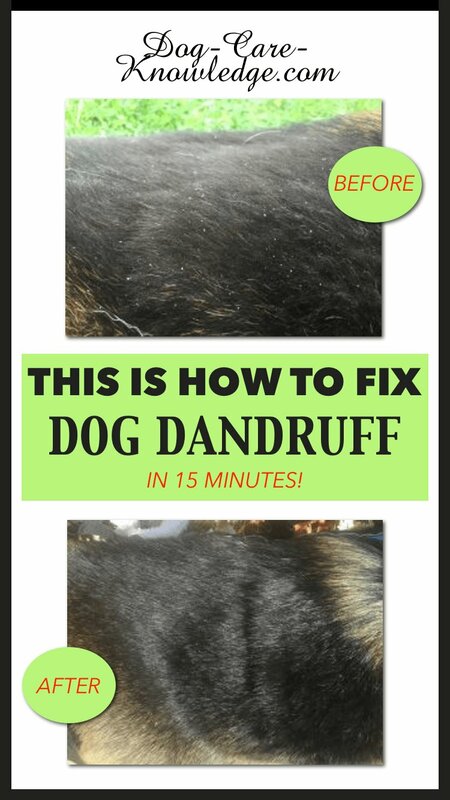 Does your pooch look like he has the worst case of dandruff? Is he constantly scractching? Or maybe his hair is thinning or bald in areas? If any of these sound familiar, chances are your best pal is suffering from Seborrhea. AKA, dog dandruff. 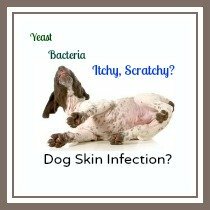 I did say that flaky, dry skin wasn't the only symptom, well, dogs with dandruff may also have scabs, bumps, or pimples on their skin. These symptoms aren't as common and they won't all have this. 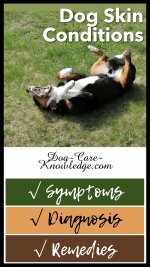 If you are unsure if your dog's symptoms are in fact dandruff, then you can check on skin conditions. Dandruff in dogs has two main forms; either dry or oily. Certain breeds of dogs are prone to each one. In either case, frequent bathing with the appropriate dandruff shampoo for dogs is the best treatment. Be sure to get the right shampoo for the right type of dandruff. A dog with the dry version should be bathed with a shampoo containing sulfur, iodine or salicylic acid. Oily Seborrhea should be treated with shampoos containing coal tar, benzoyl peroxide, or selenium sulphide. The two shampoos that I would recommend for dog dandruff are Derma-Dyne and Tar & Sulfur. 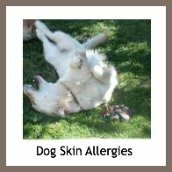 Each one can be used for both oily and dry dandruff in dogs. 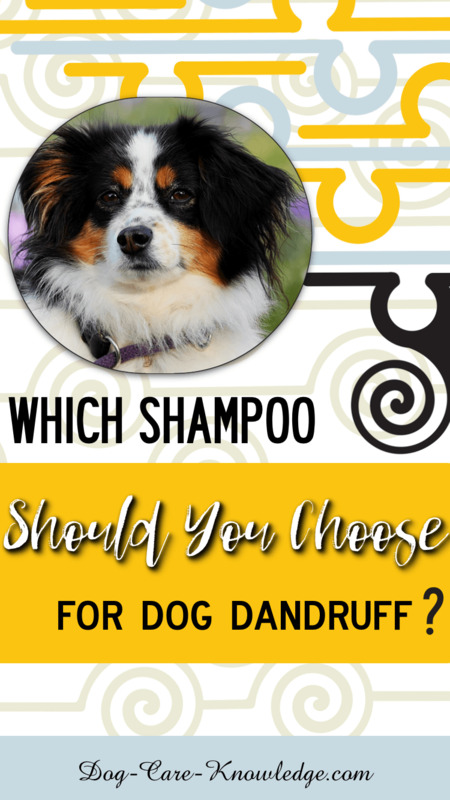 Which Shampoo Should You Choose for Dog Dandruff? 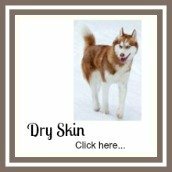 If your dog only has the flaky skin then I would use the Tar and Sulfur but, if you see any of the other symptoms (scabs, sores, bumps or pimples) then go for the Derma-Dyne. In either case it's best to finish with a re-moisturizing rinse to help restore your dog's skin and coat. If you use one of the shampoos above, or one containing the recommended ingredients, you'll notice the dandruff will be gone as long as you wait for the recommended time of 10 minutes. 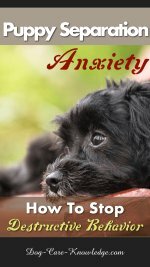 In normal cases you'll only need to bathe your dog in the anti-dandruff shampoo once a month or once a week, depending on severity of symptoms. The more regular you use the shampoo, the less you'll see the dandruff. If the dandruff is severe, then you should bathe your pet every other day for a week or even 10 days. In fact, bathe him every other day until you have removed the majority of the debris and flakes on his skin. You can then bathe him twice a week for a month and then reduce to just once a week. Once it is finally and fully under control, you can bathe him once a month to stop dog dandruff from building up again. Luckily, it's not that difficult to treat if you get the right shampoo. I've found the absolute best shampoo, that can be used for both oily and dry dandruff, is Nature's Specialties Tar & Sulfur. It's a medicated shampoo that has the active ingredient of non-toxic, biodegradable sulfactants, with USP refined topical Coal Tar Solution. Dogs that suffer from dandruff frequently have problems with dry skin. An excellent supplement that can help is fish oil as it contains high levels of essential fatty acids that dogs need. In particular they need omega-3 and omega-6 in their diet to maintain healthy skin and coat. A great natural source of omega-3 and omega-6 can be found in salmon oil. Adding the liquid form to your dog's food is the best way to repair his skin from the inside out. Just make sure you get the right one! Here's how to tell which salmon oil is best for dogs. Personally I recommend Pawsome Naturals Wild Alaskan Salmon Oil. Free 2-day shipping for Amazon Prime members. So, you checked your pet and noticed that he has dandruff. But wait. When you looked closely, it moved! Yes, that's right. There is a skin condition known as walking dandruff (Cheyletiella) and that's exactly what it looks like. So, if your pooch has large dandruff flakes, check to make sure they're not moving! Cheyletiella are mites that live on dogs, cats, and unfortunately, even live on people. 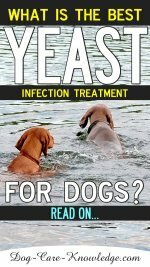 These are easy to see and your usual flea treatment should get rid of them. If you have an infected animal in the house though, be sure to treat all other animals. Also, if you develop an itchy rash after handling your infected pet, speak to your doctor and tell her you may have contracted mites yourself (ugh). Your doctor will be able to prescribe the proper treatment though. Remember, if it looks like your dog has dandruff, make sure you know its Seborrhea for sure before starting the baths as it could be those pesky mites, Cheyletilla.